Colorado’s United States The world’s most active coworking alliance. Founded in 2012 by Craig of Creative Density, Jennie of Green Spaces. In 2019 we launched the first Denver Coworking Passport. With hundreds printed and being distributed to remote workers and freelancer, partcipating spaces in the passport get immediate exposure to new members. It is beautifully designed and something we are very proud of. This was Denver Coworks’ first big push to raise awareness of the benefits of coworking and the awesome spaces we created. Back in 2012 when coworking wasn’t well known we wanted to create buzz and invite people into our spaces. The first six Denver Coworks spaces participated and over 150 people attended our free days and over 10 events. Other the next few years the crowds eventually grew to over 250 with a dozen spaces. Denver Coworking Week showed how we can accomplish bigger events by pooling our small ad budgets and limited man power to build awareness of all of our spaces. Many coworking space operators have never run a space before and they had a lot of questions. We all had questions. Some of them were easy questions about getting people to wash the dishes, while others were more complicated about managing growth or training new staff. No matter how basic or complicated the question we get together to help answer them. This collaboration and support between spaces has helped a lot of spaces run their spaces more efficiently, avoid costly mistakes, and understand what trends are going on in the industry. In these group meetings we also learn about each other’s spaces and the vibe of our communities. This helps us refer people that aren’t the best fit for one space, but we can help each other out and point them to the space we think would be the best fit for them. The Denver Coworks website is one of the highest ranked results for coworking in Denver. We get leads for offices and individual memberships several times a week. We share these leads with the group. Spaces also have access to the website tracking information and are able to freely contribute to the email newsletter. All partcipating spaces and their community managers get access to our Slack group where people can post questions. Deskpass launched in Denver because of the close community that Denver Coworks has created. They could easily communicate with dozens of spaces at once and easily turn on the city. Since they launched in Denver, thousands of dollars has been distributed to coworking spaces in the city. This is a great example of how collaboration can lead to bigger opportunities that can can’t do by ourself. Deskpass is now a sponsor of Denver Coworks. Started in 2012 by space owners to work together to promote coworking and support each other to run better spaces. 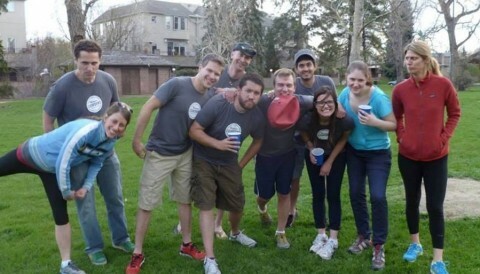 Denver coworks is Built on the belief that collaborating is better than competiting. Join over 25 space operators for monthly events, get leads, and learn best practices in launching and operating your space.